Let us plan a trip for you! We provide high value & high quality tickets and group tour packages to premier sporting events. We make it hassle-free for groups and individuals with our customized packages to meet your schedule and budget. 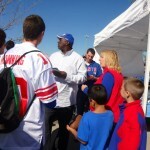 Tailgating experiences leave lasting memories. Our tailgates are no exception! Catered by Food & Fire BBQ ~ Taphouse, you will enjoy mouth-watering BBQ wherever the tailgate takes you. Get filled up before the game while making memories with friends. We would be happy to create an event for you! From getting your transportation to planning the food you will enjoy at your event...and organizing everything in between. With years of event planning experience, you are sure to enjoy the simplicity of planning an event when working with us. So go ahead, leave the details to us and "Create Your Own" Elite Experience!. Experience the ELITE Sports Tour to see a professional game. 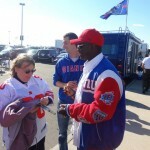 No waiting to get tickets, finding a ride to the game, packing a tailgate party. Leave the details up to us! Our friendly staff escorts all trips. The party doesn't start when you get to the game, it begins when you step on the bus! 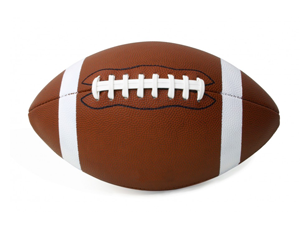 Pre-game tailgating, the roar of the crowd…being part of a professional football game is a Sunday tradition, and we’re the sports tour who can help you experience it. 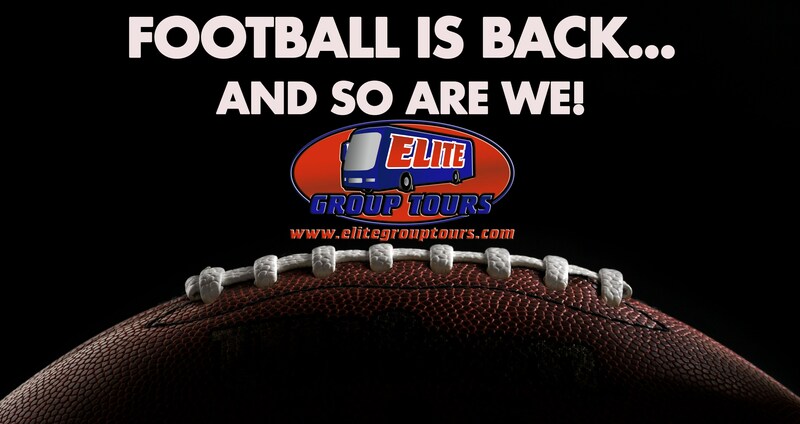 We have built The ELITE Sports Tour Experience for you – chartered buses, excellent game tickets, a tailgate experience like no other…living the dream of a football fan! We take you to see your favorite teams live! 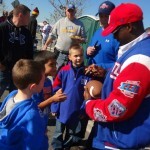 Being part of a professional football game is a Sunday tradition, and we’re the ones who can help you experience it. Catered tailgate parties. You have to experience it to believe we can do this in a parking lot! It's so amazing, sometimes former players even stop by to grab a bite to eat and say hello! Our bus trips are escorted by Elite Group Tours Staff. We have unmatched quality and service! The fun begins the moment you step on the bus. Greatest bus trip ever! Can't believe this was your first big bus trip event! You'd think you have done a hundred of them! Thanks so much! What a blast - a day I will never forget! What an incredible, well organized event! I can not begin to thank you for what was an amazing experience for my Son and I. I can not wait to go on another soon! 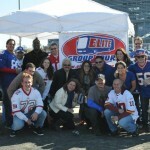 Great trip and amazing BBQ tailgate - thank you Elite Group Tours! BBQ was awesome, great seats, great game - absolutely coming back for another trip! You guys did a fabulous job...any bus trip you're doing, we're in! packages to meet your schedule and budget.